Note - Mass and Inertia are excluding tube and at max bore. 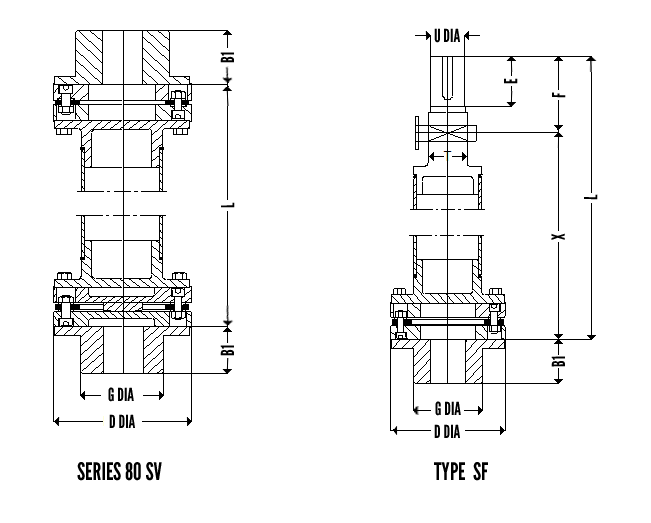 Max misalignment 0.5 deg/pack For Maximum Length , Permissible speeds and Tube Dia - see Selection Table. '(+) indicates only axial extension , (-) indicates axial compression , (*) indicates expansion as well as compression.